Even those of us who do our best to recycle and reuse must admit that we live in a throwaway society. Few things get repaired today in the traditional ways that our parents and grandparents experienced. Those generations had everything from shoes to televisions fixed until they truly could be fixed no longer! While many of our products and systems today are designed to work longer without needing as much attention, periodic inspections and maintenance can often keep a small issue from becoming a big problem due to inaction. And avoiding big problems can mean the difference between life and death when it comes to the inspection and maintenance of medical gas systems. The American Society of Sanitary Engineering (ASSE) developed the Series 6000 Standard, which has become the industry standard for medical gas systems personnel. The Medical Gas Maintenance Personnel 6040 certification, based on this important standard, provides medical facilities as well as the public with the assurance that there are qualified individuals handling this important work. 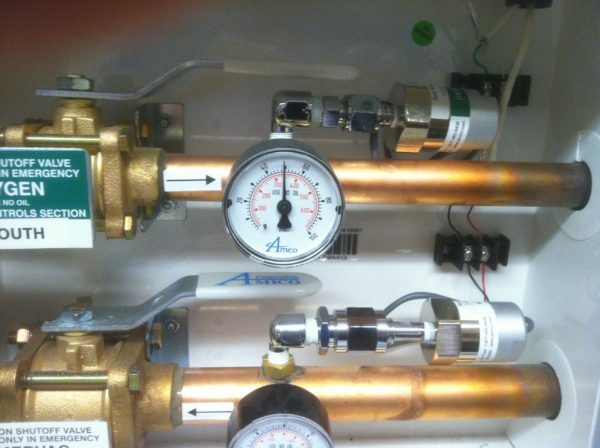 Those certified as Medical Gas Maintenance Personnel have successfully demonstrated competencies within this field. They are required to be proficient in, and experienced with, the maintenance of medical gas and vacuum systems and have a general knowledge of any applicable laws, codes, listing agencies, and/or regulations at the federal, state, and local level as they pertain to medical gas and vacuum systems. By securing this credential holders of the Medical Gas Maintenance Personnel 6040 certification have proven that they possess important knowledge of such things as product performance, systems and system component testing, documenting and recording, and medical gas terminology. Candidates seeking their Medical Gas Maintenance Personnel 6040 certification will want to ally themselves with an organization that has both the knowledge and the reputation to properly administer and certify personnel. Therefore, whether you’re a training director, association representative, employer representative, or an individual applicant, NITC is there to help you along the way. Contact NITC at (877) 457-6482 to learn more about how NITC’s products help prepare the best, most reliable, and safest trade professionals possible through a wide range of industry certifications, all the while helping you exceed customer expectations in the process. Have your personnel certified with the certification company, National ITC, today!